Holy smokes. Six league games tonight? A total of 15 on the week? You have to love this time of year when things really pick up in Major League Soccer. I have a lot to get to today on the FC Dallas side of things, for more check out BigDSoccer.com. I wanted to go ahead and get my predictions for tonight’s games out of the way. Like I mentioned, there are six of them, so we have a ton to get to here. Feel free as always to leave your predictions below. Houston Dynamo at D.C. United: Can DCU get back on track here? That is going to be the big question when they welcome the Dynamo to town tonight. Houston is fresh off their first road win in ages last weekend in LA but making that cross country swing from Sunday to Wednesday is going to be tough. I think United pull out a point in this one because of some jet lag. 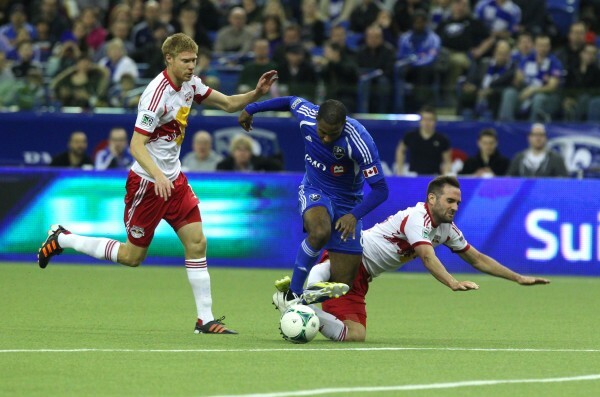 Montreal Impact at New York Red Bulls: Everyone wants to watch this one and for good reason. Plenty of story lines to follow in it. Can the Impact prove that they can hang with one of the better offenses in the league? Can New York get an impressive win under their belt here (I’m not completely sold on them just yet here)? I think some answers will be given out tonight but look for a tight game that ends level. Real Salt Lake at New England Revolution: One of the more intriguing games of the midweek. RSL handled their business very nicely last weekend at home against Vancouver but will the cross country trip on short rest slow them down? It is certainly possible given their injury issues up front (no Alvaro Saborio). New England has to find their offense somehow and I don’t see it happening in this one. 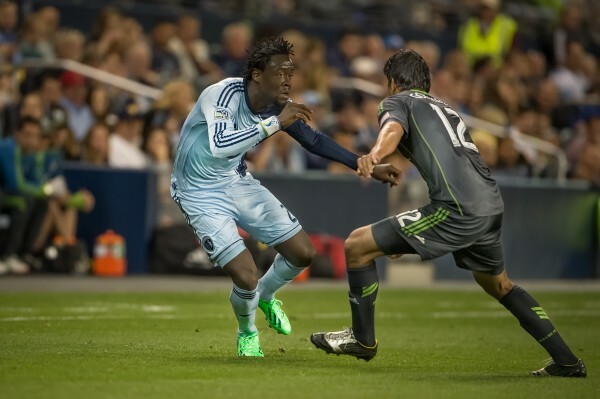 Seattle Sounders at Sporting KC: I really wish this were on a weekend when both clubs were healthy and rested. But a midweek meeting is what we get. Seattle will be without a couple players, as will Sporting KC. The interesting subplot in all of this is whether or not Kei Kamara will play now that he is back in KC. I think he does, and that may be enough to push Sporting over the top in this one. Portland Timbers at FC Dallas: Another really good game that should be on the weekend instead of the midweek. Dallas is rested but possibly not rested enough to have both Andrew Jacobson and George John back on the field. That could present some issues for Schellas Hyndman as Portland has shown well on the road this season. Still, Portland has yet to do well in Dallas and they still want to prove a thing or two to the league. I don’t know if they get it tonight. Toronto FC at San Jose Earthquakes: Rough stretch of games for Toronto as they stay on the West coast. San Jose should win this game and if they don’t somehow I think their contender status will need to be revoked.